When you have a few hours to spare between appointments, tournament games, or convention sessions in Rochester, MN, you&apos;ll find there are a wide variety of entertaining, no-hassle options for how to pass the time. So, grab your sense of adventure and check out 21 of Rochester, MN&apos;s best activities for individuals, families, or groups. Roca Climbing and & Fitness offers numerous amenities, which include: indoor climbing, climbing instruction and training, yoga studio, fitness deck, retail shop, special group events and a spectator area. Ample parking onsite. Air Insanity. Rochester’s first indoor trampoline park is a state-of-the-art family fun facility that will energize and excite the kid at heart in everyone! Air Insanity attractions include: open jump arena, insane air bag, warrior battle beam, fidget ladder, insane dodgeball, toddler zone, warrior obstacle course, extreme warp wall, slam dunk courts, traverse climbing wall, insanity nerf zone, vault escape laser maze, and a virtual reality zone. Ample parking onsite. Silver Lake Park. Bike, boat, or walk around scenic Silver Lake less than a mile from downtown Rochester. Stop at Silver Lake Boat & Bike Rentals to explore the city from a different angle. You can also stroll around the lake. At 1.8 miles around the lake, a couple laps may easily fill your time and help you reconnect with nature on one of the gorgeous spring, summer or fall days in Rochester. With plenty to see at Silver Lake Park and several scenic bridges and places to play, it may take awhile to make it all the way around! Several parking lots around the lake. Bowlocity Entertainment Center offers activities including laser tag, arcade games and of course bowling! There’s something for the whole family, including a sports bar to fuel up after a competitive game. Ample parking onsite. Archery Addiction. “We know fun” is their motto for a reason! Whether you’re ready to try archery combat or a nerf war, Archery Addiction is the place for you! Archery combat is similar to dodgeball. However, rubber balls are replaced with foam-tipped arrows. Rules are similar to dodgeball and bunkers are added to provide cover. Ample parking onsite. Bounce World. Need to burn off some energy? Visit Bounce World’s 15,000 square foot building filled with inflatables bounce houses, inflatable slides, and other interactive inflatables. Ample parking onsite. Minnesota Children’s Museum Rochester. An interactive atmosphere that is sure to spark children’s curiosity and interest in learning. The Children’s Museum is full of uniquely designed and stimulating hands on activities and exhibits. Programs change frequently, so be sure to check out their website. Ample parking onsite. Rochester Art Center. Contemporary art center that showcases innovation and creativity through world-class exhibits and programs. The Rochester Art Center encourages creative and critical thinking. Located at 40 Civic Center Drive SE, the Art Center is attached to Mayo Civic Center and is a great place to enjoy the beauty of the downtown Rochester cityscape, the Zumbro River, and Mayo Memorial Park. Parking is free in a nearby ramp or on the street after 5 p.m. weekdays and on weekends. SEMVA Art Gallery. 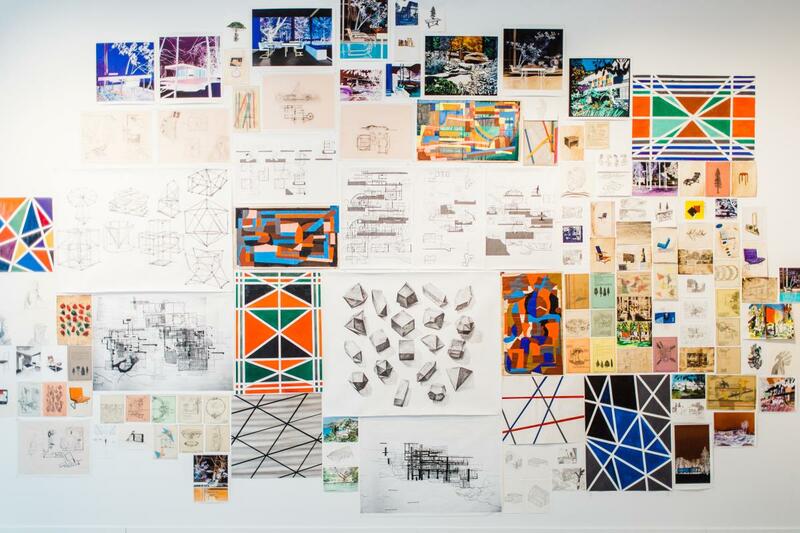 The Southeastern Minnesota Visual Artists (SEMVA) started in 1991 as an opportunity for regional artists to network, better their craft, and market their creations. Over 70 local artists are featured at SEMVA to offer this one of a kind art gallery. The artwork encompasses jewelry, photography, pottery, glass, woodworking, sculpture, wearable art, and much more. Stop by to take a look and when you find something you cannot pass up, remember that all artwork is available for purchase. Located at 320 South Broadway with free parking after 5 p.m. on weekdays and on weekends. Zerkalov Art Gallery. The newest gallery to open in downtown Rochester, MN. Inside you’ll find jewelry, metal sculptures, hand-painted scarves, felt toys and the artwork of Artur Zerkalov from Ukraine. Much of the art featured is by European artists. However, you’ll also find art from U.S. and Canadian artists as well as one local artist. The gallery is located at 319 South Broadway and is open Monday – Saturday from 10 a.m. - 8 p.m.
Mayo Clinic Art Tour. Learn about the artwork found across the Mayo Clinic campus on a Mayo Clinic Art Tour. Many of the pieces have been donated and come with unique stories. The tours are for patients and their guests on the day(s) of medical appointments. Tours begin in Judd Auditorium, on the pedestrian Subway Level of the Mayo Building, and run Monday – Friday 7am – 5pm. Self-guided tour brochures are also available at the information desks. Located at 200 1st Street SW, traditional parking rates apply Monday – Friday. 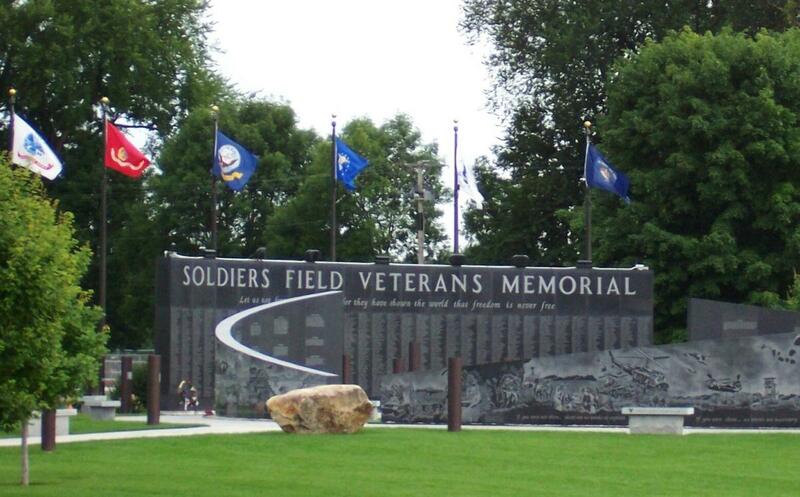 Soldiers Field Veterans Memorial is a thoughtful get-away in the heart of downtown Rochester. Take a break from your day and honor the men and women who fought for our freedom. The memorial is designed in three distinct parts. (1) A granite, circular “Wall of Remembrance” contains the names of over 3,000 service men and women from Southeastern Minnesota that gave their lives in service to their country. (2) Brick pavers comprise the “Walk of Remembrance,” and honor 6,500 Veterans and Allies for their service. (3) “Trees of Remembrance” represent every state in the United States. Located at 300 7th Street SW with parking onsite. Rochester Public Library. When you are in the need of a reprieve from tournament games or medical appointments, the Rochester Public Library (RPL) is a place you can find a wide variety of programs and services for all ages throughout the week. Visitors can enjoy the beauty of the library and pick up a temporary library card or gain internet access. Located in the heart of downtown Rochester, RPL is connected via the pedestrian skyway/subway system from Mayo Civic Center and Mayo Clinic campus. Parking is free after 5 p.m. and on weekends. Rejuvenate Spa & Mayo Clinic Healthy Living Program. Treat yourself to a spa service in the tranquil environment of the Rejuvenate Spa. Massage, manicure, pedicure, acupuncture, skin care, body treatments, and cosmetic services available. Services are delivered by licensed and certified professionals in the Mayo Clinic Healthy Living Program. You can also schedule a 45-minute private session with a wellness expert at the Mayo Clinic Healthy Living Program. The program offers one-on-ones with experts in physical activity and exercise, nutrition and weight, and stress management and resiliency. Visit a brewery or winery. Rochester is home to a variety of excellent breweries and wineries. Grand Rounds Brew Pub is within walking distance from the Mayo Civic Center and is located at 4 3rd Street SW. There is free parking after 5PM weekdays and on weekends. 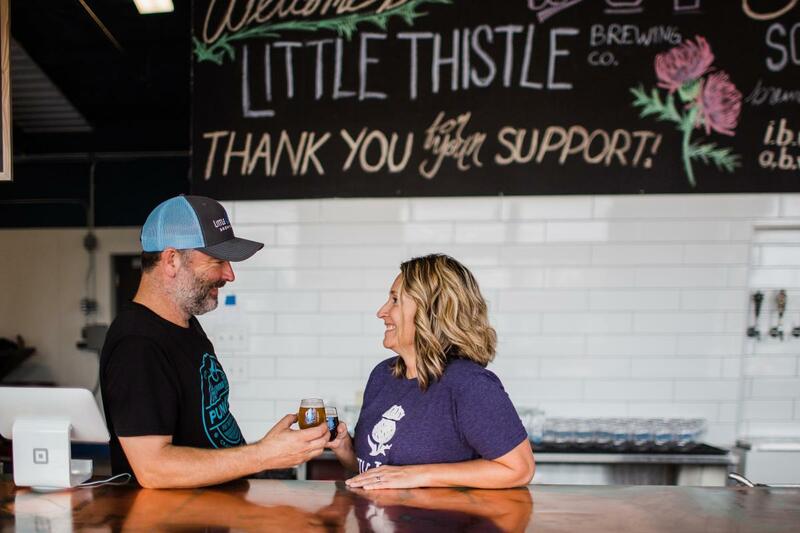 Forager Brewing Company, Little Thistle Brewing Company, Kinney Creek Brewery, LTS Brewing Company, Post Town Winery, and Salem Glen Vineyard & Winery are only a short drive and all have ample parking. If you’re looking for a happy hour, you can find all the details in our Guide to Downtown Happy Hours. Carroll’s Corn. Are you a popcorn fan? Carroll’s Corn is the home of hand-crafted, delicious popcorn and offers a variety of flavors and sizes. Located at 20 2nd Avenue Southwest Suite B12 (Underneath Starbucks in the Kahler Grand Hotel), and within walking distance from Mayo Civic Center. Flapdoodles. Rochester is home to TWO Flapdoodles Ice Cream locations: North and South. From ice cream flights to homemade ice cream cakes or delicious hand packaged pints, Flapdoodles has something for every ice cream fan. Flavors change frequently, so stop in often! Both locations offer on-site parking. Chocolaterie Stam. Dutch traditions creatively hand-crafted. Enjoy white, milk or dark chocolate bonbons and other indulgent confections. Also serves Italian Gelato, Chocolaterie Stam is located at the Shops at University Square (111 South Broadway) and a quick walk from Mayo Civic Center or Mayo Clinic Campus. The Shops at University Square offer world-class shopping, dining and personal services. Unique stores include Counterpoint, The Nordic Shop, Knight’s Chamber, while national brands include Chico&apos;s, Soma, Talbot&apos;s and many more. University Square is also home to wonderful restaurants, which include Pescara, Chester’s, B.B.’s Pizzeria, Salad Brothers, Bravo Espresso, and more. University Square is located at 111 South Broadway and connected to Mayo Civic Center and Mayo Clinic via the pedestrian skyway/subway system. Parking is free weekdays after 5 p.m. and on weekends. Apache Mall. Find the brands you love under one roof! 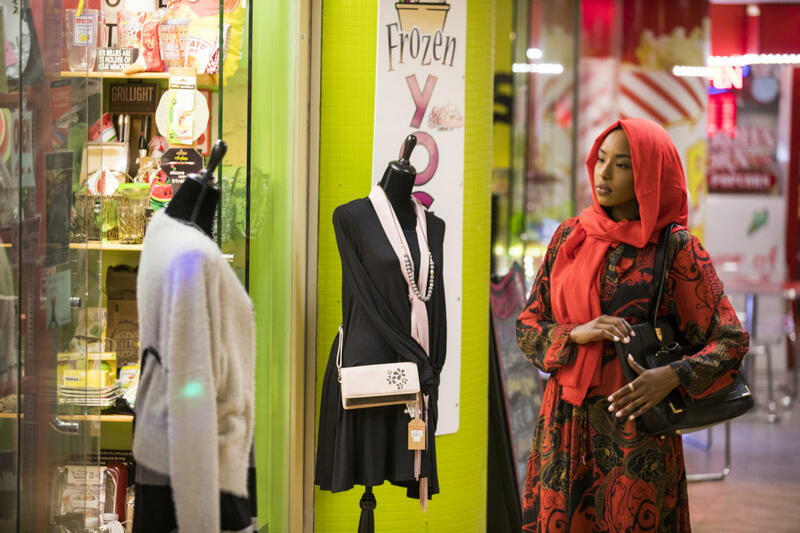 The Apache Mall is home to more than 100 stores including JC Penney, Macy’s, Scheel&apos;s Sporting Goods, H&M, American Eagle, Victoria’s Secret, Tradehome Shoes, Build-a-Bear, and many more. The Apache Mall has retail therapy available for everyone in your family! If you’re looking to recharge, there are great restaurants available at the mall, which include HuHot, Applebee’s, and Red Lobster. Ample parking. John Kruesel’s General Merchandise. From American antiques to estate treasures you can peruse John Kruesel’s General Merchandise. Located at 22 Third Street SW and within walking distance from Mayo Civic Center or Mayo Clinic’s downtown Campus. If you’re attending a convention or event at Mayo Civic Center, check out an extensive list of things to do, nightlife, and restaurants within easy walking distance of the center. Traveling with kids? Check out our top 10 things to do with kids in Rochester, MN.